Live Next to a Gas Site? Downwind of a Cement Plant? Just Concerned About What's in that Layer of Haze on the Horizon? No Matter Your Cause, You Have a Stake in Building a Better DFW Anti-Smog Plan. Beginning this month, things get serious about regional air quality. 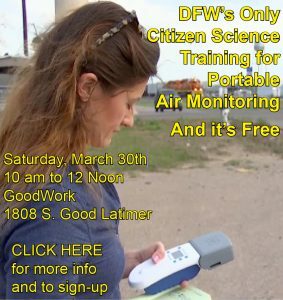 THIS SUNDAY – Citizens Strategy Meeting on the new DFW anti-smog plan/ 3-5 pm /Texas Campaign for the Environment offices/3303 Lee Parkway, Dallas (across from Lee Park) Sponsored by State Representative Lon Burnam and Downiwnders at Risk. While the Texas Commission on Environmental Quality is moving ahead with a scheme that avoids new pollution controls, local officials are more skeptical of that approach and and are talking about additional "control measures" on sources of air pollution like cars, power plants, the gas industry, and cement kilns. Despite three state air plans over 15 years, DFW has yet to meet the 1997 federal smog standard of 85 parts per billion (ppb) of ozone. Now, even as we're still trying to meet an almost 20-year smog standard, a new standard of 75 ppb is being enforced across the country for the first time. The deadline for meeting it is 2018. The plan for how to meet it must be turned into EPA by 2015 for a three year implementation. That plan is what's being written now. And you can help make it much better. In 2009, DFW's three year running average for smog pollution was 86 ppb of ozone. Last year it was 87ppb. Is that progress to you? The state says it is. The fact is that after a decade of steadily falling smog levels, that decline has stalled over the last five years. Is it merely coincidence that those five years correspond to the Barnett Shale gas play maturing in the middle of DFW? Or the development of gas fields to the Southeast of us? If it's not new gas emissions, what's causing this stagnation in progress? The state says it doesn't know. But the TCEQ is sure that it can get smog levels down without new pollution controls on any industry – including gas and oil. Just like it was sure in 2011, when the state proposed its last plan without any new industry controls and guaranteed we'd be enjoying record-low smog levels by 2013. 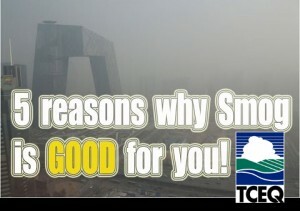 Instead, smog levels actually rose. The reality is that Austin is trying to avoid any new controls at all while Rick Perry is running for President. Our lungs are being held hostage by Governor Perry's political ambitions. That's why we need your help. TCEQ says that a new federal gasoline mix with lower sulfur content will make car exhaust so much cleaner that no additional measures will be necessary to meet the new 75 ppb smog standard by the deadline of 2018. It says it's computer program tells it so. But that new mix won't be on the market until 2017, impacting only one summer out of three that'll be used by EPA to give us our running average. Even then, to reach the new goal of no more than 75 ppb of ozone by 2018, DFW smog levels would have to drop by double digits in just four years. That's never happened before. And many of us don't believe it has any chance of happening without reducing pollution from the gas industry, the Midlothian cement plants, and other large sources. We need to expose the TCEQ's junk science and make sure safe and legal air for six million people is more important than Rick Perry's presidential ambitions. The most successful air plan DFW ever had was in 2007, when coal plants, cement plants, vehicles and other sources of air pollution were addressed through new control measures. That was the last time we had a comprehensive approach. And we almost met the 1997 85 ppb standard. This new plan offers an opportunity to do the same – if citizens can get organized. The DFW air plan is the "biggest fracking fight that isn't being fought" with a chance to seek region-wide pollution controls on the gas industry. It's a chance to bring state-of-the-art pollution controls to the Midlothian cement plants and East Texas coal plants. It's a chance to commit North Texas to more renewable energy, mass transit, and cleaner technologies of all kinds. But first you have to show up. Please come to the public strategy meeting this Sunday in Dallas to learn more about this clean air plan and what's being done to improve it. Then on April 17th, come to the next official meeting of the DFW clean air plan in Arlington to listen and comment on discussions about local air quality. These meetings are open to the public and public participation. 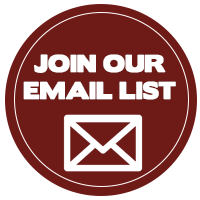 Tell officials you want MORE pollution controls on ALL sources. 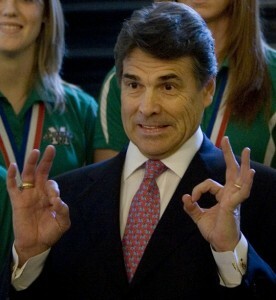 Don't Let Rick Perry continue to hold your lungs hostage.